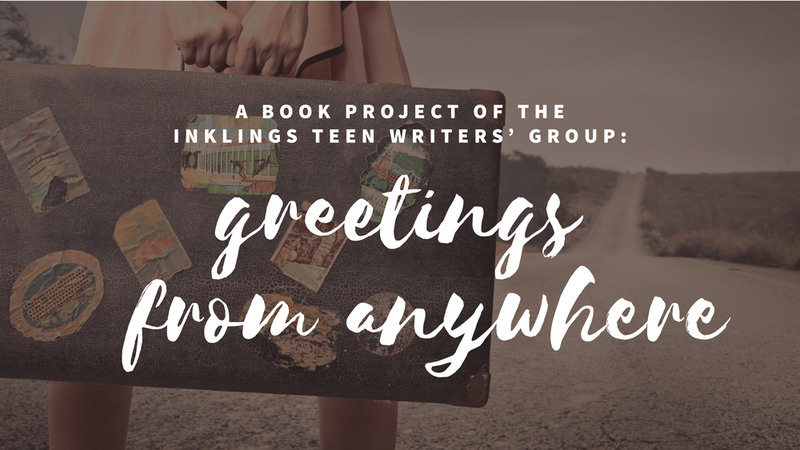 Spark Central invites you to take a journey with the Inklings Teen Writers Group this summer. From finding yourself on another continent to viewing Spokane through a visitor’s eyes, we’ll create souvenirs of a time and place with postcard-inspired poetry and prose. At the end of the summer, we’ll compile what we’ve worked on into a Spark Central-produced chapbook and celebrate our journey with a book launch and reading. You're welcome to submit to the book project even if you can't make the next Inklings meeting date. Writers from age 13 to 18 may send submissions to sparkdropbox@gmail.com through August 8th. Emails containing submissions should include your name, email address and phone number. Whether getting lost, getting the heck out of Dodge, wishing you were here, or feeling homesick, we hope you’ll come explore with us at Inklings! Aug. 4: Inklings writing group meets from 3-4:45 p.m.